With its three-disc Jean Grémillon During The Occupation, Criterion's Eclipse series of "lost, forgotten or overshadowed classics" turns its eye toward 1941-44 French cinema and the efforts of one particular overlooked director. Although Jean Grémillion's career encompassed silent film, documentaries (his biggest passion) and a stint as the president of the Cinémathèque Francaise, the three sensitively crafted domestic dramas collected on this set remain his most admired works. World War II-era European film is sort of amazing in itself because it's impossible to imagine anyone making entertaining films amidst all the turmoil happening. 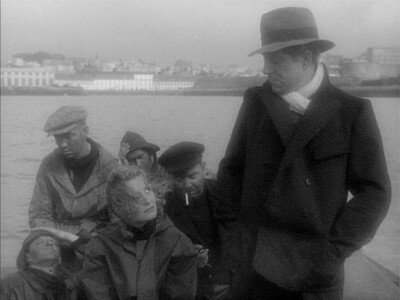 And yet, as we discover on Jean Grémillon During The Occupation, go on it did - serving a greater need of providing escapism to audiences who needed it, as well. The war itself never comes up as a topic in these films, which wasb mandated by the Nazis in the cases of 1943's Lumiére D'Été and 1944's Le Ciel Est A Vous. Despite the restrictions, Grémillon still managed to get subversive anti-fascist messages in both films. The added context provides a touch more depth to these subtly played, realistic dramas. The films are all well-made from a technical standpoint with great cinematography (especially in the first two selections), but what really makes them resonate are the way the various lead actors play off each other, revealing dynamics that wouldn't normally be explored had the scripts been played out in a more straightforward manner. Incidentally, this set also serves as a good showcase for the French actress Madeline Renaud, whose steely presence enlivens all three of these films. 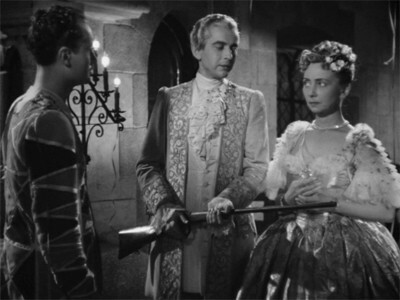 It's been said that Renaud was Jean Grémillon's favorite actress. Certainly Grémillon brought out Renaud's versatility and everywoman appeal here, in a trio that plays out like an earlier version of the Federico Fellini/Giulietta Masina partnership. Hollywood-style romantic drama Remorques (a.k.a. Stormy Waters) stars the magnetic Jean Gabin as André Laurent, a tugboat captain who is called away on a dangerous ship retrieval on a stormy night. The s.o.s. arrives while he and his wife, Yvonne (Renaud), are hosting the wedding of one of Laurent's shipmates at their home. Out on the ocean, Laurent and his crew manage to locate the ailing ship and rescue a group of stowaways who foolishly took a lifeboat out on the treacherous waters. The lifeboat passengers include the alluring Catherine (Michéle Morgan), wife of the other ship's captain (Jean Marchat), whose abuses led her to flee the ship and her marriage. During the return voyage, Catherine's husband sabotages the towing operation, a spineless maneuver that causes Laurent and his crew to be laid off. Back on land, the fragile, flighty Yvonne relishes that her husband won't be off at sea so often. While the disillusioned, fatalistic Laurent and Catherine bond over each other, Yvonne becomes the subject of devastating news. Conflicting emotions abound as the siren of the sea pulls Laurent back into his element. Considering its thorny production (it commenced filming in 1939, was put on hold during the occupation, then finally got released in late 1941 after Gabin and Morgan had emigrated to Hollywood), Remorques manages to be a haunting, affecting film concise in its aims. 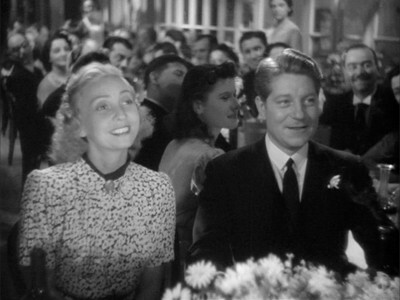 Although the story delves into subjects typically covered by melodramas of the day, the characters played by Gabin and Morgan (and, to a lesser extent, Renaud) are so fascinating to watch. Their intelligent, understated interplay gives the film a grounded, humanist dimension missing from many melodramas of this ilk. Renaud's beautifully played, vulnerable yet optimistic character is set up as a marked contrast to Gabin and the gorgeous Morgan. Remorques also holds interest for its seafaring sequences, which are done with a combination of documentary footage of real tugboats and expertly crafted miniature work. Though not without its flaws (particularly the heavy-handed finale), the film is something of an overlooked gem - the ideal candidate for a Criterion Eclipse set. Produced in the midst of the German occupation, the lavish, multi-character class warfare drama Lumiére D'Été takes on a different tact from the more straightforward Remorques with mixed but equally enthralling results. Madeline Renaud, who had been so ethereal in Remorques, takes on a more grounded turn here as Cri-Cri, a woman who gave up a glamorous life as a dancer in Paris to be with her lover, Patrice (Paul Bernard) in the mountainous, forbidding terrain of France's Provençal region. While running a gleaming hotel in the off-season, Cri-Cri plays host to vivid array of characters while lamenting the circumstances (which involved Patrice's late wife) that got her there in the first place. With the arrival of a pretty guest, Michéle (Madeleine Robinson), and her boorish painter beau, Roland (Pierre Brasseur), Cri-Cri's subtle resentment over being stranded boils over into jealousy when the arrogant, wealthy Patrice starts taking an interest in Michéle. Meanwhile Julien (Georges Marchal), a rugged young miner who is working at a nearby dam-blasting site, reasonably tries to sway Michéle from the perpetually soused Roland, arguing that an intelligent young woman like her deserves better. After Patrice hires Roland for a project at his sprawling estate with the ulterior motive of getting closer to Michéle, over Cri-Cri's objections, the fever-pitch emotions between the four (along with Julien) reaches a climax during a hedonistic, lavish costume ball on the grounds of the estate. A variant on the class-conscious themes explored in Jean Renoir's superior The Rules of the Game, Lumiére D'Été was a daring and strikingly filmed contemporary-set drama that nevertheless wound up being rush-released and unsuccessful at the box office. This was mostly due to the authorities taking issue with the bourgeoise, borderline psycho character of Patrice (perhaps it was Paul Bernard's chilling performance that sealed the deal). Grémillon does a great job of establishing an off-kilter yet strangely romantic feel throughout, yet the film doesn't quite jell into a satisfying whole. Lumiére D'Été's introductory hour is spent in talky, somewhat draggy mode establishing the characters, most of whom are defined by a few insufferable traits (Cri-Cri's clinginess, for example). There are a few brief, emotionally resonant scenes involving Renaud and Marchal comparing their lots in life, and Bernard makes for a memorable cad. The film doesn't truly take off, however, until the hedonistic party sequence, then it launches into a ridiculous but excitingly filmed climax set at the dam-building site. Grémillon fans rate this one highly, and it is beautifully crafted and performed. The script's shortcomings in decent plot and compelling characters make it more of an interestingly noble misfire, however. An aviation drama and honest portrait of family life in wartime France, Le Ciel Est A Vous (a.k.a. The Woman Who Dared) served as yet another detour for Grémillon. 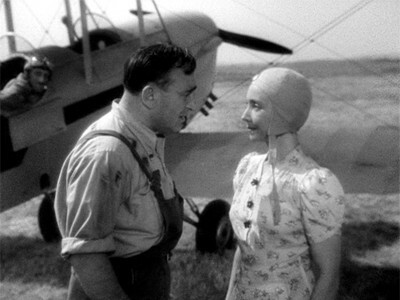 It also serves as an excellent vehicle for Madeline Renaud, who headlines as a housewife-turned-aviatrix in a yearning, hopeful tale that must have struck a chord with a war-weary audience at the time. Unlike the other two films in this set, the Le Ciel Est A Vous is a less ambitious but no less charming effort whose central theme is that the family can conquer all obstacles. The film opens with the middle-class Gauthiers relocating from the ramshackle auto garage in the country that father Pierre (Charles Vanel) runs. The family, which includes parents Pierre and Therese (Renaud), Therese's mother Madame Brissard (Raymonde Vernay), pre-teen daughter Jacqueline (Anne-Marie Labaye) and son Claude (Michel Françoise), need to make adjustments and cut corners financially to adjust to their new place in a nearby town. This includes Therese taking a job at a far-off auto dealer, but the new airfield that their old home was destroyed to make way for holds a fascination for Pierre. Much to Therese's chagrin, he winds up helping out at the aviation club and eventually learns how to fly. While Pierre's obsession with flying initially confounds the family, especially Therese's stick-in-the-mud mother, his enthusiasm becomes so contagious that Therese becomes an amateur flyer as well. She eventually volunteers to represent the club in a climactic intercontinental flying competition, a courageous effort whose "will or won't she make it" outcome provides the film's chief dramatic tension. Le Ciel Est A Vous disappoints slightly for not having any shots of characters actually piloting an aircraft, with all the airplane footage seen from terra firma. It's a strange anomaly, but otherwise this was a heartwarming film which drew a lot of its emotional power from the realistic depiction of the family. Renaud and the grizzled Vanel both do a terrific job at the parents, who are depicted as multifaceted and not without faults. This is never more apparent than in the heartbreaking scene where they selfishly decide to sell off daughter Jacqueline's beloved piano to fund their flying endeavors. 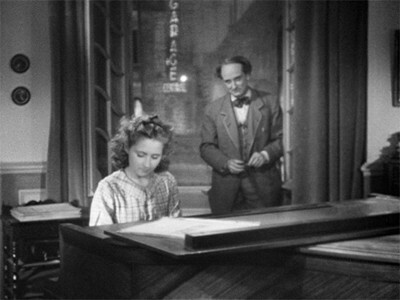 Actually, the entire subplot involving Jacqueline and her sympathetic piano instructor (played by Jean Debucourt) is sensitively done and quite a treat. Like Remorques, this film showcases Grémillon's skill at conveying simple human interactions in a touching, relatable way. Eclipse Series 34: Jean Grémillon During The Occupation comes in an elegantly designed set of three slim-width snap cases housed in a slipcase made of lightweight paperboard. All three films on this set have been digitally restored, with the finely shaded picture on Lumiére D'Été faring the most positively. Remorques generally looks good, but the picture sports some shockingly degraded segments. The somewhat contrasty and grainy image on Le Ciel Est A Vous is generally average for a '40s-era film, but the mastering is nice and pleasant enough to watch. The French language soundtracks on all three films are presented in agreeable mono with an inherent flatness, but overall it is nicely mixed with little to no outstanding flaws. This set apparently marks the first time these films are available on disc with English subtitles, so bravo for that. Like the other Eclipse sets, there are no extras on the discs themselves. The set does come with astutely written essays on all three films, which are included as an insert on Remorques and printed on the inlays for Lumiére D'Été and Le Ciel Est A Vous. Jean Grémillon During The Occupation accomplishes the feat of bringing an overlooked director's best work to light, making it one of the more enjoyable Criterion Eclipse sets. Whether it was atmospheric seafaring melodrama (Remorques), stinging cross-cultural theatrics (Lumiére D'Été), or inspirational family fare (Le Ciel Est A Vous), the set establishes Grémillon as a thoughtful craftsman adept at humanist, character-driven stories. Highly Recommended.